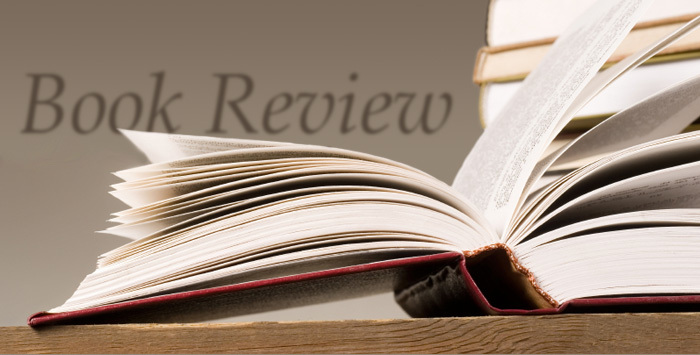 Book Reviews Versus Critiques – Have We Had Help? Since sites like Amazon gave the general public the opportunity to review any book they have read, what many still fail to understand, or indeed appreciate, is the difference between writing a review and what amounts to a critique. The Secret History of the Blitz by Joshua Levine, review: ‘tunnels behind clichés’. A second weakness in Frankl’s writing is in the assumptions he sometimes makes to prove his point. He makes overarching generalizations several times in his book, making statements that, although may have been true for himself and those around him, might not have been true for every prisoner in every concentration camp during the Holocaust. For example, in one instance, he says, “The prisoner of Auschwitz , in the first phase of shock, did not fear death” (37). It is very bold to say that no prisoner of Auschwitz, one of the most well-known and deadly concentration camps of the Holocaust, did not fear death, as death was all around them and was a very real threat in their daily lives. Although he might have not feared death during his phase of shock, it is impossible for him to guarantee that no prisoner was at all fearful of death in this first psychological phase, and for him to make overarching assumptions like this is a weakness to the overall quality of his book. Finally, Frankl sometimes becomes too technical and verbose in his writing style, which makes it very hard for the average reader to understand. One example of this is as follows. Frankl states, “I remember an incident when there was an occasion for psychotherapeutic work on the inmates of a whole hut, due to an intensification of their receptiveness because of a certain external situation” (102). This sentence, which is overly wordy and complicated, makes it difficult for the average reader to understand exactly what he is saying. A reader can easily get frustrated when trying to decipher the author’s meaning due to overly complicated language, and this is a third weakness of Frankl’s writing. Now do you understand? Unfortunately many people still fail to grasp the fundamental difference! Reviews are short and to the point without criticism, or for that matter, the need to tell the author how you would have preferred to have seen certain passages written, deleted or expanded in the book in question, while also giving away the plot! Whenever I read any critique masked as a review, I tend not to the read the book in question. Why? Because you have already told me all about it. Like millions of other readers, I far prefer to find out what’s going on in the story for myself. Think long and hard before you feel the need to offer a critique rather than a review in the future. No one is in the least bit interested in how you want the book written, especially the author! This entry was posted in Books, Criticism and tagged Book Reviews Versus Critiques. Bookmark the permalink. I agree for the most part, Jack. I do a number of reviews each year – the one place where we might differ is if there is an overarching point of weakness, I will mention it. Part of the problem with everyone thinking they are an expert and not having a clue. Reviews are hard to write, no matter how often you do it, you always worry that you should have said something or left something out. While I agree with you for the most part, I feel a review should say something about the book, I’ve seen far too many that are too short to give you any idea if it’s good. I for one want to know if a book is simply Star Wars rewritten word for word only with different names. The only way is to read it for yourself Colin. Far too many critiques contain spoilers! Unfortunately that is all too true. The worst thing is there are so many books that sound good, how can you tell what is worth reading? I guess that’s just a problem everyone has to deal with the best they can. Thank you, no doubt I have been guilty of this in the past, but I have been criticised for not being more critical of the books I review, but I see my review as an opportunity to persuade someone else to read the book. I am reluctant and loathed to write critiques and would much rsther try to voice my appreciation of a book I loved/liked rather than bash a book that simply wasn’t for me. I’m no writing coach, just a reader so stay away from pronouncements of how a book is written. As a somewhat naive inde author with just one book under my belt, I found this post very interesting. Am I right in assuming that a critique can be regarded more or less as a “negative review”? Fingers crossed. Hope you like it. Interested in your opinion either way. An article I found by visiting our friend Jo Robinson’s blog. Okay, so I found it last week but I decided to share it today. This is such a good point. Maybe people need to read more theatre reviews for an idea how it’s done. That said, there is plenty of criticism in those reviews, but also praise–and they never feel a need to “document” every point they want to drive home.